Goonellabah Medical Centre is a general practice in the Northern Rivers area of NSW. Former Lismore orthopaedic surgeon, Dr Neil Thompson has written the early history of the the local medical fraternity. 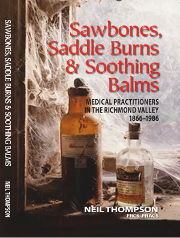 Sawbones, Saddle Sores & Soothing Balms covers the 120 years from the arrival of medical practitioners in 1866 to the modern era. At Goonellabah Medical Centre, we work as a team to make your health experience easier. From our reception staff to our nurses, doctors, medical students and our allied health professionals, we aim to provide you with a caring environment at all times. Our services are extensive and, other than our regular consultations, include care plans, pre-employment medicals, minor surgical procedures, dietary advice for diabetes and assistance with your psychological care. At GMC, we welcome your questions whether that be about our services, if your doctor is on time, our policies or any other query. We are keen to keep you informed and feel that this will enhance a better understanding between us. 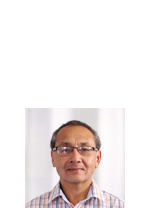 Dr Charles Hew is accredited with the Skin Cancer College, Australasia. Goonellabah Medical Centre is an accredited general practice with its standards of medical care approved by QPA Accreditation.